P4D is one of the largest courier booking agents, offering cheap London courier services ot all the major couriers at discounted prices. Working with TNT, DHL, Yodel, City Link and Parcelforce etc. 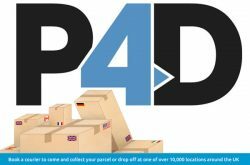 – Parcel Delivery to UK, USA, Germany, Australia, Europe, Asia, North America, South America and Africa. – Pallet Delivery to UK, USA, Europe, Germany, Poland, Ireland, Italy, Spain, Portugal, France and Netherlands. ESSEX, CM20 2GB, United Kingdom.